Right now, I’m sitting in my bedroom probably doing the total opposite of about 75% of most Americans; then again, maybe not. I don’t smell the aroma of the traditional turkey, ham, dressing, mac and cheese, sweet potato pie baking from my kitchen. However, the smell of turkey bacon, scrambled eggs, cheese grits and biscuits are still lingering from this morning’s breakfast. My television is showing it’s third episode of CSI. Echoing from the living room is a juggle of the Macy’s parade and an episode of Caillou. The source of this TV indecisiveness is an impatient 5 year-old girl waiting to go visit relatives. Some how in the midst of this atmosphere my mind has been able to drift away and think about this year: The challenges; disappointments, struggles and losses. There are expected disappointments. You know like not getting that parking spot at the grocery store, missing out on a good sale the day after you paid full price and of course, not winning the lottery! But it can be discouraging when you have studied all your might for an exam and fail it or you outlined a plan for your goals and discover you have not accomplished any of them. Yes, disappointments continue to occur in life. I could list all of mine from this year, but I am reminded of two parents who have been waiting months for their son to receive a transplant and how every day that it doesn’t happen is another disappointment. We all have different struggles that are indeed real. But what might be a piece of cake for someone is difficult for another. …then I just watched a news story that showed thousands of people waiting in line just to get a meal with their children. This is the one that I believe hit all of us the hardest every year. When you lose anything it can disturb you. We often say we have lost our keys when in actuality we have just misplaced them. Most time we are able to feel the relief and even happiness of finding them. But there are some tangibles that don’t end this way. This year you might have lost your vehicle or house due to theft, a fire or an unfortunate repossession or foreclosure. Although the method affects us, it still doesn’t change the fact that we lost these necessities of life. Then what about a significant person in your life? A few weeks ago I had to join my high school classmates in saying farewell to our friend. She touched so many lives. As I am tempted to complain about my continuing disruptive girls, I am reminded how her children are experiencing their very first Thanksgiving without their mother. This past summer I had to watch a dear friend muscle the strength to bury her father, when just short of a couple of years she had to do the same with her mother. This will be her first Thanksgiving without both of her parents. Lastly, I recall the day I gave birth to my baby girl back in January. I didn’t realize that day would be bittersweet. Actually, after learning that same day that my spiritual mentor had passed away, it took me months to truly celebrate the life of my daughter. One thing that life has taught me is that you aren’t sincerely appreciative of someone until they are no longer present in life and it is then that you realize how much you do miss them. You can’t pick up the phone to call or text them. Their social media pages are only filled with memories; no new posts from them (although there is a part of you that hopes). In spite of all life’s challenges, there is still so much to be thankful for. Honestly, it can be difficult getting beyond the challenges. You might even find yourself wondering as I have in the past; is life even worth it? Focus on Others. When I find myself in the pit of one of life’s challenging situations, I think about other people. As tough as my circumstance seem, there is always someone else who would rather be in my shoes. Consider other people’s situations and you will realize how much you have to be thankful for. Focus on Blessings. After you remind yourself how blessed you are, focus on those blessings. They could be your children, they could be friends or it could be a car you have that some one wish they did. Appreciate your blessings rather then criticize them. 3. Focus on Giving. It’s Thanks Giving. If you are truly thankful, it should show in your giving. Give your time to those you love. Yes, you might have had to say farewell to loved ones, but there are still loved ones that remain. Appreciate them while they are still present. Your giving can also be with those less fortunate. You might be complaining about your wardrobe and there is someone who can’t afford the old stuff you refused to wear. Give away and be a blessing to some one else. Now, I’m going to wrap this post up so that I can go and spend quality time with two awesome girls who are anxious to spend time with me and family. And…I’m ready to eat! May you choose to have a Happy Thanksgiving!!! If you are finding this holiday a little difficult and need to talk, dial 1-800-273-TALK. Are you planning on shopping during Black Friday? Well, I am giving you FREE downloads of my books this Black Friday and on Saturday for Small Business Day. 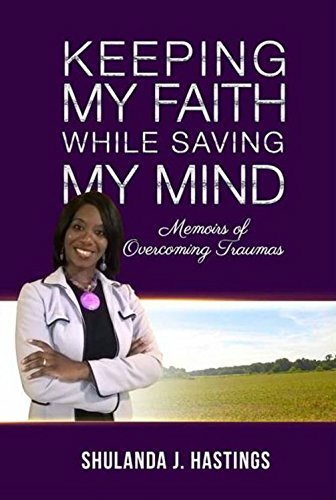 Thank you for supporting my mental health awareness ministry! Posted on November 22, 2018 November 22, 2018 by Ambassador ShulandaPosted in Empowerment, Holiday Blues, Mental Health, UncategorizedTagged Black Friday, grief, holiday blues, life coaching, loss, mental health, thanksgiving. Previous Previous post: Are You Ready to Commit Your Mind?